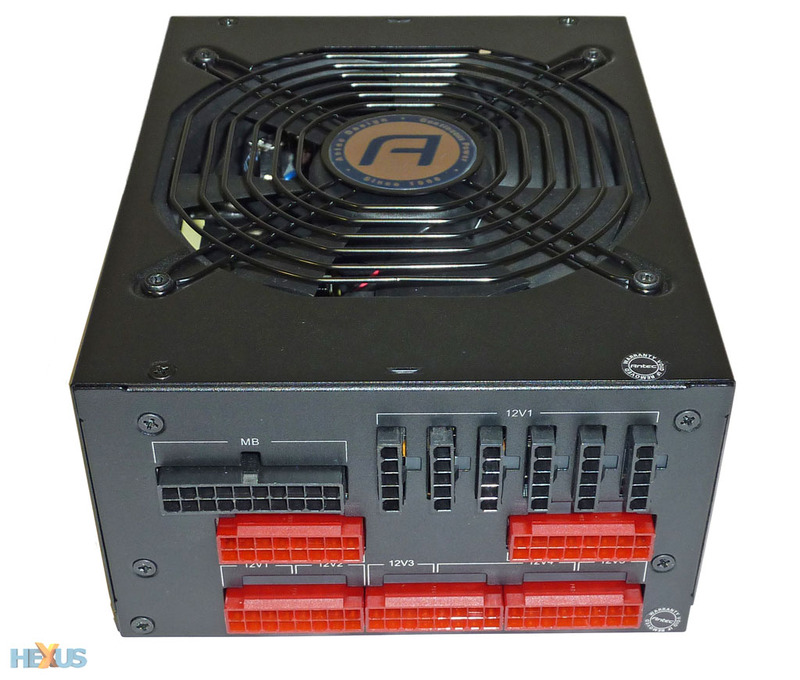 Known primarily for chassis and PSUs, Antec has recently bolstered its high-end power-supply line with 80 PLUS Platinum-rated models. We took a look at the EarthWatts 650 Platinum at the very back end of last year and then heard the company was planning on showcasing a 1,000W High Current Pro model at the CeBIT trade show. Available now for £220 and representing the very best PSU technology the firm has to offer, let's see what makes the HCP-1000 Platinum tick. The HCP-1000 needs to be good, really good, because the asking price is at the very upper limit for consumer PSUs. Presented in an understated chassis and measuring 190mm x 150mm x 86mm (LxWxH), meaning it will fit into most cases, build quality is suitably good. A lack of protruding wires denotes that it's a fully-modular supply; you simply connect the cables that you need to. For what it's worth, Antec's logo is the same orientation on both sides - that is, point up to the fan grille - and it's noteworthy insofar as one side appears upside-down. Most PSUs tend to have the opposing logo rotated 180° to get around this minor 'problem.' Update: Antec assures us that all production models will have the correct orientation for the labels. Antec equips this beast with a 135mm dual-ball-bearing fan from Delta Electronics. Controlled by a PCB-mounted fan-control circuit, with the speed dependent upon the load and temperature, the fan is supposed to be 'whisper-quiet' in most instances. However, unlike some of the competition it doesn't switch off when running low loads. 12 sockets give rise to the supply's range of outputs. Interestingly, the main 24-pin ATX power connector that powers the motherboard is plumbed such that it needs to be connected to two different sockets on the PSU side, for it takes up the entire 20-pin 'MB' connector on the top-left and half of one of the red sockets. 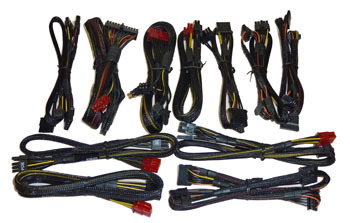 Clearly showing the supply to be based on a four-rail 12V topology, all SATA and Molex need to be connected to the six black sockets that come from the 12V1 rail. Meanwhile, the remainder of the PCIe and motherboard plugs attach to the four-and-a-half red sockets - remember that part of one is used by the main ATX. It doesn't take a genius to figure out that Antec is using 16-pin red connectors on the HCP-1000, which isn't common fare for even high-end supplies. The company says it uses such a setup for maximum flexibility, where dual pairs of 8-pin plugs can be attached without problems. So just what can you hook-up to this 1kW supply? OK, so Antec bundles in 9 SATA cables, 6 Molex, a Floppy, two 8-pin (8-pin and 4+4-pin) for the CPU(s), and 6 PCIe connectors. Other firms have a wider selection of SATA and Molex, we note, but the entire array can be connected concurrently. Of the three runs of PCIe cables, two sets each connect via an 8-pin red connector but the remaining one, next to the main ATX in the picture, uses a full-width 16-pin connector; we're unsure as to why this is necessary. Remove the cover and, from what we can gather, Antec uses Delta technology to power the HCP-1000 supply. Layout is very clean and filtering is up to the high-end standard set by some of the recently-reviewed competition. Antec uses the now-popular DC-to-DC conversion for the minor lines. 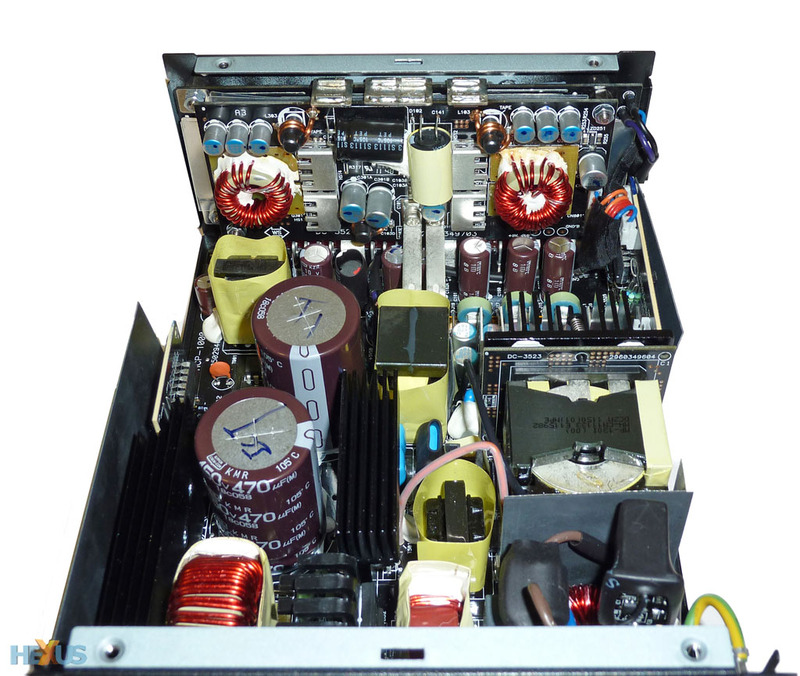 Masses of wiring, often present on 1kW PSUs, is actually conspicuous by its absence. 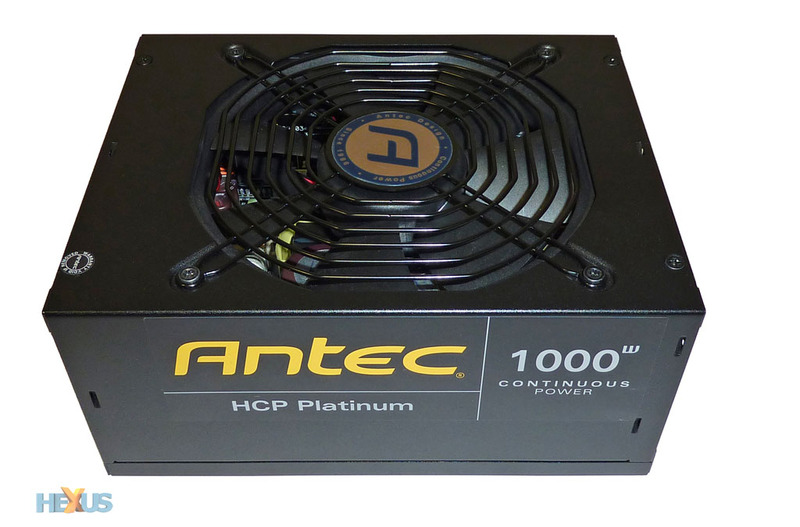 Antec uses the PSU-maker's favourite: Nippon Chemi-Con primary caps that are rated to 450V, 470uF and at 105°C. 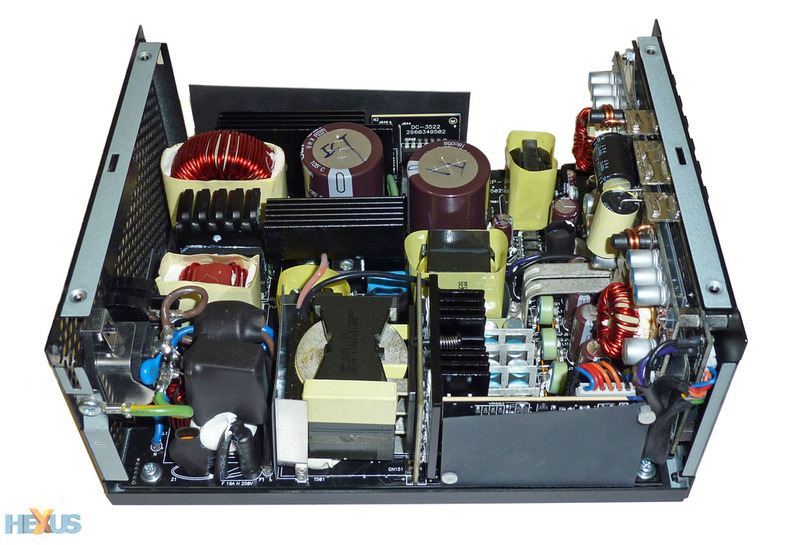 The HCP-1000's dimensions are on the small side for a PSU of this class, and much of that credit goes to how the internals are hooked-up. Top-class soldering, sensible component choices and above-average integration are the internal highlights of Antec's best supply. As is the norm with modern PSUs, you can shunt the entire continuous power down the throat of the four 12V lines. Rated to perform to specification at a toasty 50°C ambient temperature and imbued with the usual raft of protection technologies, there's really not much to dislike... apart from the price. Bear in mind that lesser 1,000W models can be purchased for £120, or almost half the asking outlay for the HCP-1000 Platinum. 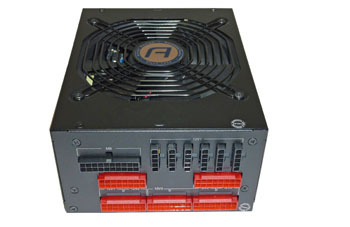 Being critical, which is fair comment for a firm's best PSU, we'd like to see the fan switch off at low loads and perhaps a few more peripheral connectors for those crazy-big builds.